Threats include: Threats include hunting and habitat loss due to deforestation. The Jaguar is commonly found in rain forests, savannahs, and swamps, but at the northern end of its territory it may enter scrub country and even deserts. They live alone and define territories of many square miles by marking with their waste or clawing trees. Jaguars are the largest cat species in the Americas, and the only Panthera species. The Panthera genus includes animals such as tigers, lions, snow leopards, and (the extinct) American lions. Jaguars are the largest of South America’s big cats. The name jaguar is derived from the Native American word yaguar, which means ‘he who kills with one leap’. 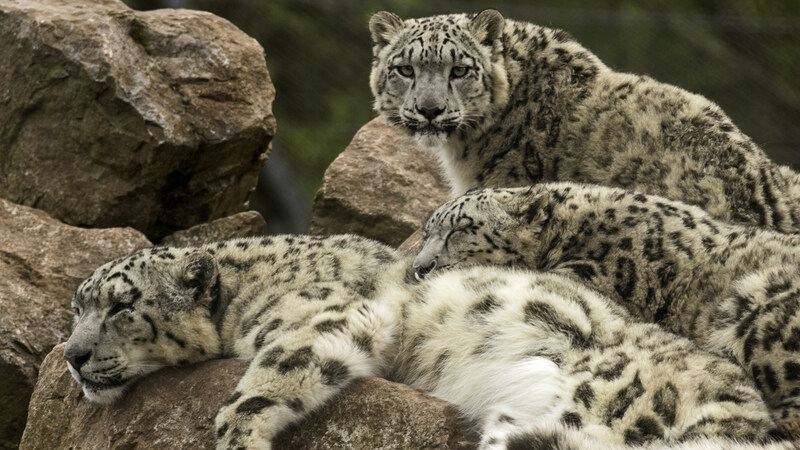 They use a variety of calls for communication including, roars, grunts, and meows. Jaguars do not avoid water and are quite good swimmers. Rivers provide prey in the form of fish, turtles, or caimans small, alligator like animals. 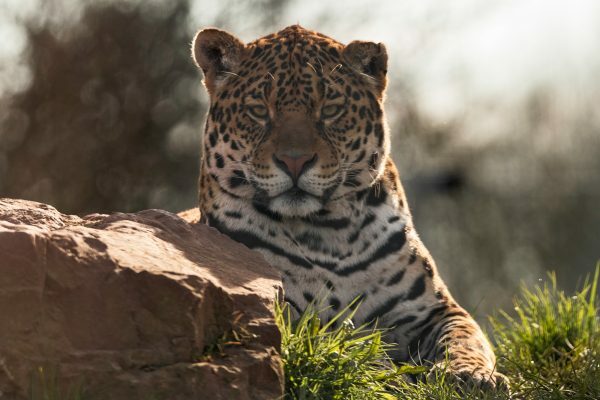 Jaguars also eat larger animals such as deer, peccaries, capybaras, and tapirs. Large head and powerful jaws are especially equipped for piercing the skull of prey with their large canine teeth. Rosette spotting on fur helps keep the Jaguar well camouflaged. Long tail assists balance when running, making sharp turns and for climbing. Rough paws to increase traction when running. Litter size: 2 - 3 cubs. Jaguars have no defined breeding season and will mate any time of year. 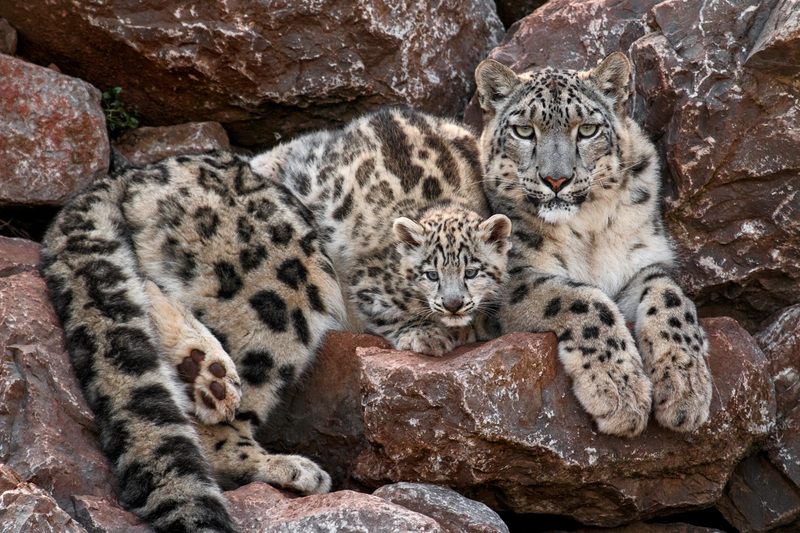 Females have litters of one to four cubs, which are blind and helpless at birth. The mother stays with them and defends them fiercely from any animal that may approach, even their own father. Young jaguars learn to hunt by living with their mothers for two years or more. 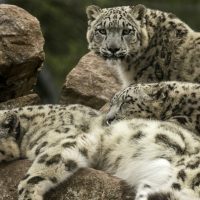 Join one of our passionate expert big cat keepers for an unrivalled tour of South Lakes Safari Zoo's big cat species. 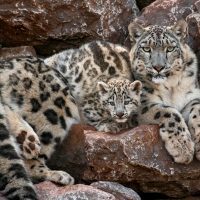 Youll learn lots of new things about the worlds most endangered yet spectacular animals then get a truly memorable opportunity as you go behind the scenes in the big cat houses and hand feed 2 of them. Dont forget your camera youll want our keeper to capture this moment for you. Join the Safari Zoo Club by becoming an adopter and receive exclusive invitations to the 4 adopters events currently scheduled for 2018.